So my 40D died on me two days before we left for vacation and before that happened I knew about this giveaway, but said I will do it when I get back....so now here I am...maybe it's a sign LOL! I would LOVE, LOVE, LOVE to be the one who wins this! Love their bags too...may have to order one and soon since on vacation the handle strap broke on my camera bag. Oh, and how could I do a post without a picture...just one more of the beautiful Bella taken with my 30D...maybe I will soon be writing with my CANON 5D ...a girl can dream right! 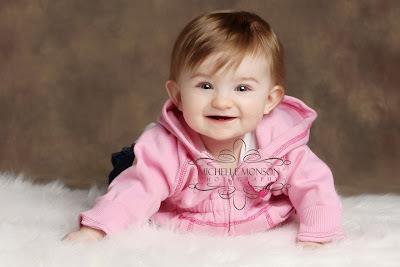 Just one of my beautiful niece for now. She didn't give me many smiles this time but that's okay...she's beautiful smiling or not. More to come soon. 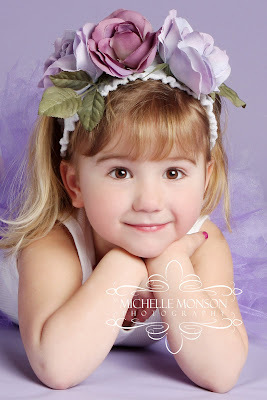 Lots of pink and purple lately for these beautiful babies...yep all girls ! This little sweetheart, Addisyn decided to come a little bit early for mommy and daddy... here she is at 15 days ...BEAUTIFUL! 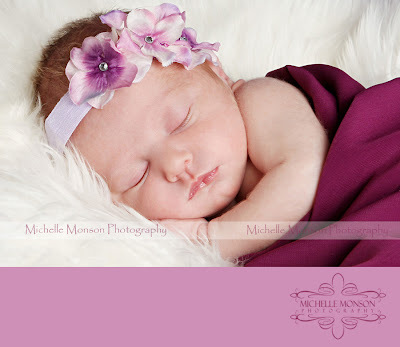 Precious two week old Ashlynn...BEAUTIFUL! 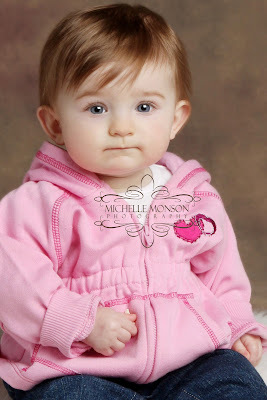 Princess " M " is a bit older..ten weeks and one day to be exact..but I had to include her too! Just look at that smile with her tongue sticking out...ADORABLE! 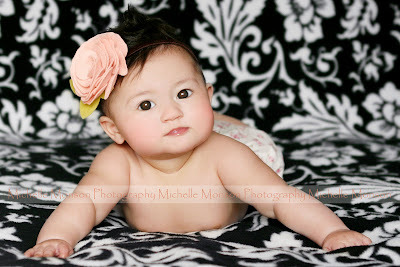 More to come soon of these beautiful baby girls! 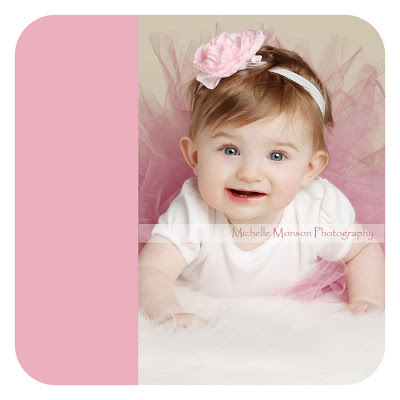 Just one for now of this beautiful little munchkin! She had the biggest smiles for me! I had so much fun with Princess " D "! 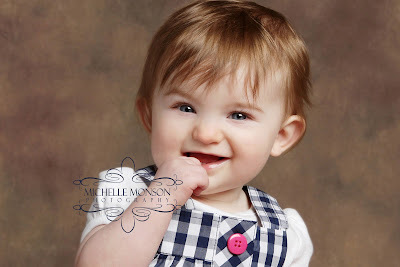 She has the best little personality and is such a great little model! 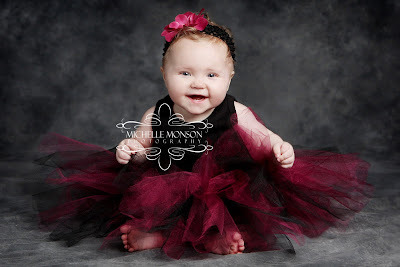 I just look at her pictures and it puts a huge smile on my face! Such a beautiful and happy little girl! This little princess was so sweet and she just makes me smile. She was not too sure about the whole picture thing but she did just fine. We gave her some yummies and she was good to go! She even gave me a few smiles! What a sweetie pie! 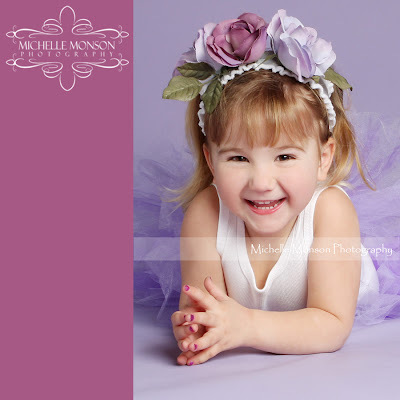 This little princess is just beautiful! She may not be smiling but just look at her...I bet she makes you smile! More to come soon!